Do You Have A Construction Project? We Can Help! Good Builders is involved in every phase of the development of the properties and houses that we build. We pride ourselves on our strong, long-term relationships with our sub-contractors. Most contractors have been with the company for over 17 years. 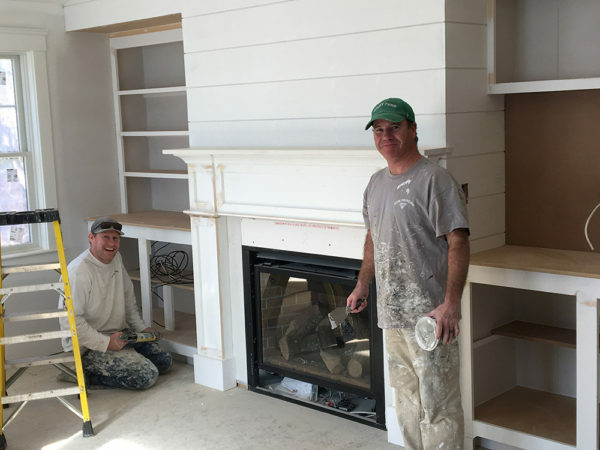 The consistency of our team brings a trusted camaraderie to the job site and ensures a quality product. Their work reflects our high standards, reliable service, and continued homeowner satisfaction. Customers consistently comment on the professionalism and character of the people working for Good Builders. 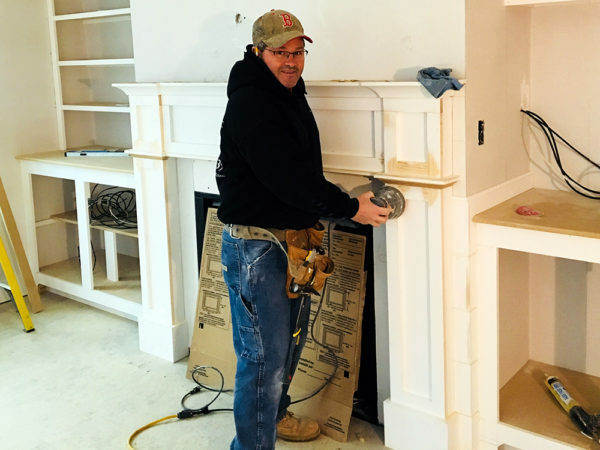 Paul Gonsalves handles most of our remodeling and home improvements. 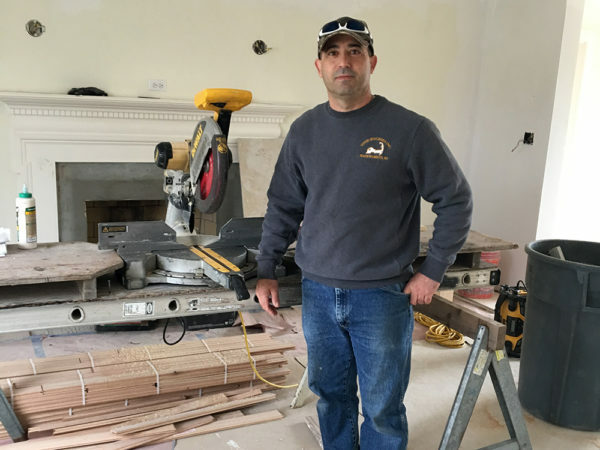 Paul is a cabinet maker, finish carpenter, framer and all-around wood craftsman. Paul’s attention to detail is unsurpassed. He does whatever it takes to complete a repair thoroughly and esthetically. Paul also lives in Falmouth with his wife and son. Derek Gummow and Brian Fish (Gem Painting) are two local Falmouth boys who started together. They have developed into a quality team. Our customers enjoy working with them both. They are patient with our clients and assist in the design decisions. 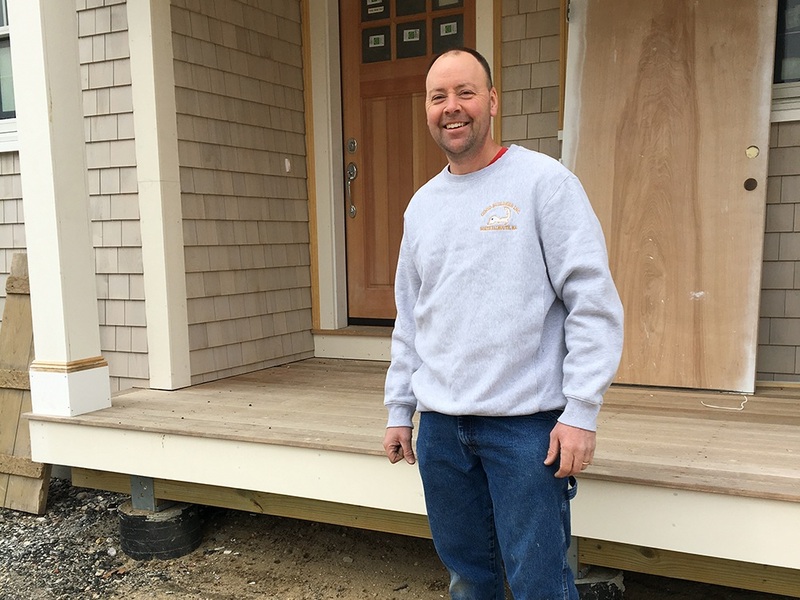 Jack Nelson started with the company when it first started, he was then part of the framing crew. He has developed into quality finish carpenter. You will see Jack on our new homes. We call him “The Glue” Jack thinks he holds the rest of us together. He always has a smile for the customer and looks forward to building whatever they may dream. Keith Tebbetts and Gary Walsh have more experience than any one of the rest of us on the crew. They may handle the heating and cooling, but they could and have done all our jobs. All of us in the Good Builder’s team over the years have asked for their help in solving a problem. They are always there to help and there years of experience help with the solution. 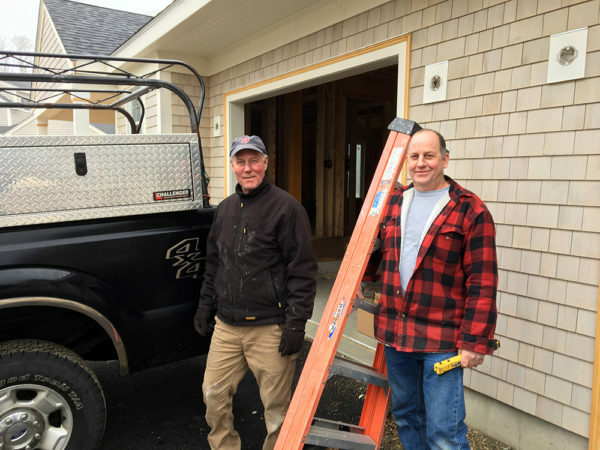 Bill Webber started with Good builders as an apprentice working for another electrician. 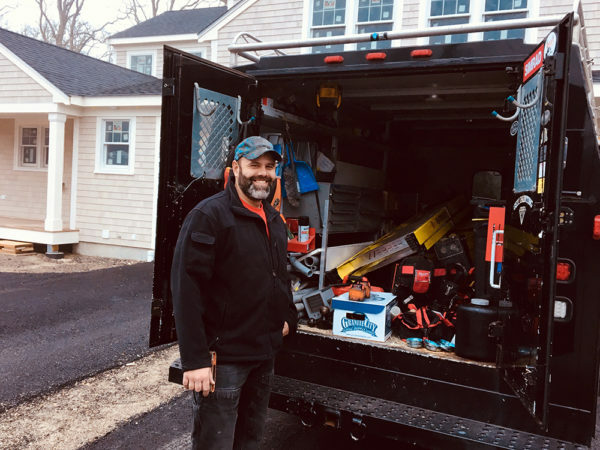 Bill started his own business and became the full-time electrician 20 years ago. He is a quality electrician, but also does are central vacuums, tv wiring and internet. He lives in Falmouth with his wife and 3 children. Jaime Breckner started with us about 10 years ago. He is meticulous and one of the finest plumbers I have had the pleasure to work with. Jaime lives in Norton with his wife and 2 children. He is also joined by his brother Eric. The family has a long tradition of plumbers. Mike Powers and his guys are neat, polite and very easy to get along with. You may have run into Mike over the years at the Falmouth Rink. Mike coached hockey for many years as his 2 children were growing up here in Falmouth. Mike and his wife live here in North Falmouth. Joe Good is Steve’s brother and has been with Good Builders from day 1. Joe has 40 years of excavating experience. 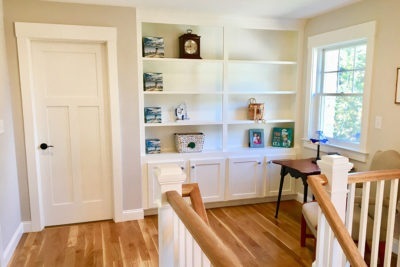 This experience is invaluable when it comes to setting grades and positioning your home just right. Joe does our demolition work, septic systems and all our other equipment operating. Joe lives in Rochester with his wife and 3 daughters. 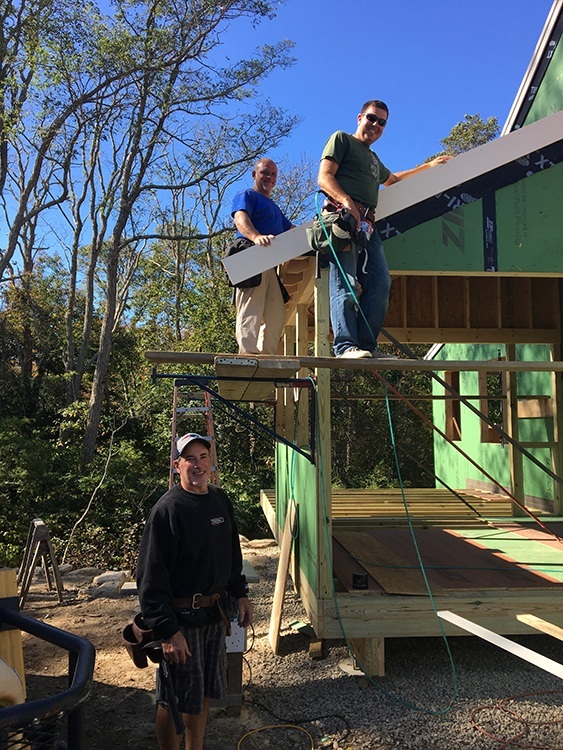 Good Builders is a local North Falmouth building contractor and developer building exceptional homes for over 15 years. 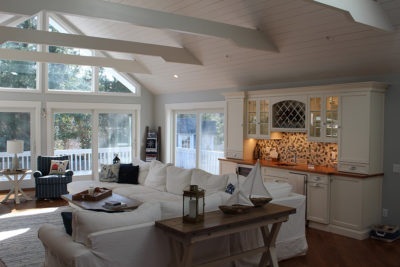 We build custom houses and developments with quality craftsmanship and unrivaled service and commitment.